Up for sale is a slightly used Large Liz Claiborne. 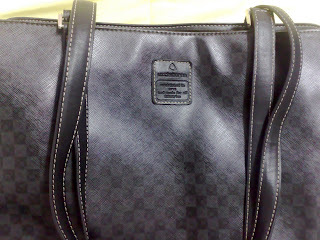 It is used for 2-3 times only, and still look very2 new..! 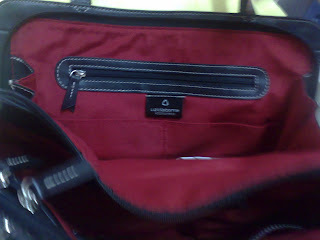 EXTERIOR:This tote has 3 main roomy sections: The center section closes with interior magnetic snap. 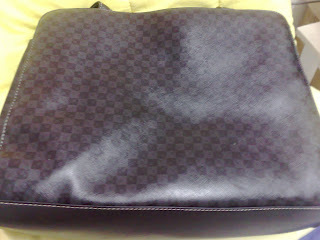 The 2 outer sections have a double tab 3-sided zipper allowing the bag at the top to expand to a full 20" or so. Silver hardware. INTERIOR: Bright red cotton interior really makes this bag stand out. 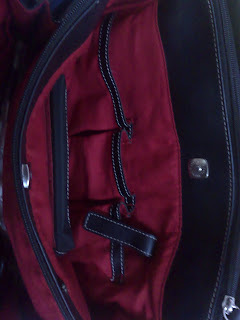 Center snap compartment has unusual horizontal zipper case at center perfect for lipstick/pens. Remaining side has 3 different sized pouch pockets of which one has a Velcro tab closure. The 2 end compartments: front has 4 cc slots, 2 pen holders and a fold over flap pocket with Velcro closure (perfect for glasses,cell)-all are black with white topstitching. 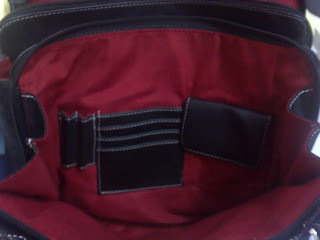 The back compartment long zipper pocket and 2 large pouch pockets on opposite side. STRAP DROP: 13" drop so it's a comfy fit over shoulder/under arm..
MEASUREMENTS: 13 1/2" (at widest point) x 10" x 4.5-5".